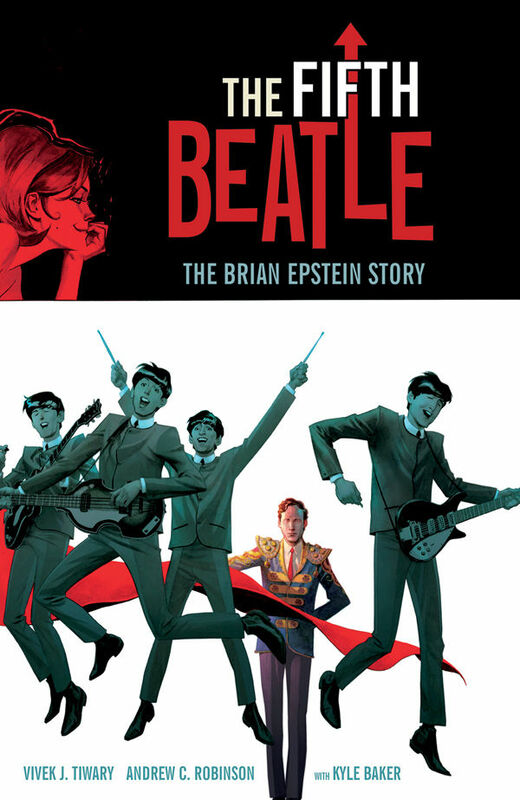 The anticipation around The Fifth Beatle continues to grow as Dark Horse announces the involvement of music legends Billy J. Kramer and Andrew Loog Oldham lending their words and support to this remarkable piece of graphic literature chronicling the life of Beatles’ manager, Brian Epstein. Billy J. Kramer was managed by Epstein in the 1960’s and had a string of hits including “Do You Want to Know a Secret?”, “Bad to Me”, and “Little Children”; and Andrew Loog Oldham was The Beatles’ publicist in 1963 before he went on to discover, produce and manage The Rolling Stones. Today, Kramer continues to record and release albums, and Oldham is a bestselling author and broadcast personality.